Avoid bad fats such as trans and saturated animal fats. Avoid refined sugars (sweets, sweet juices, white wheat products). Drink lots of fluids, especially cold ones to decrease the temperature during hot flashes (I heard that unsweetened cold lemonade is fantastic for this). Eat more foods that contain estrogen-like substances and/or androgens mentioned earlier. Don’t smoke. Cigarettes are very detrimental during this period (or any other stage of our lives). Not only do they increase the symptoms of menopause but they also increase the risk of heart disease which is potentiated by the concomitant decrease in estrogen. Avoid hot and spicy foods as they trigger hot flashes and sweating. Cut out coffee. Coffee is also claimed to increase hot flashes and other unpleasant symptoms. Try to lose some weight with proper diet and some aerobic exercise as most women have a tendency to gain weight during this period due to the hormonal changes. Air conditioning. 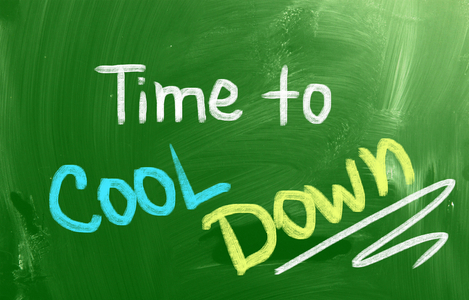 Keep your indoor, environmental air temperature cool. Get enough light. Adequate natural light will help prevent depression. Stay in positive environments such as yoga or mediation classes and support groups. Get enough good quality sleep (with the help of supplements if necessary). Maintain a good sexual life with a supportive partner. Finally, I would like to discuss the controversial topic of HRT. HRT (Hormone Replacement Therapy): What Does The Research Say? The overall assessment after multiple, extensive research studies is concludes is that HRT (estrogen and progesterone combination pill) is better at low doses and in the early stages of menopause, for a short period of time when the symptoms are most severe. HRT should be avoided in later stages of menopause and for prolonged periods of time, otherwise, the risks far outweigh the benefits. HRT should only be considered when all the natural remedies that I have mentioned above and in Part 1 are not enough to eliminate menopausal symptoms, and where these symptoms are still burdensome. Only a small proportion of women fall into this category. HRT can also be combined with the natural remedies listed previously. There are no bad interactions. Such combinations can allow for lower doses of HRT, thus minimizing the risks. 1. Breast cancer. Increased risk in post-menopausal women with combined HRT (estrogen + progesterone) but not in women on estrogen alone after hysterectomy (i.e. removal of the uterus) who do not need progesterone to protect from uterine cancer. 2. Endometrial cancer. Increased risk of tumor is in situ (minimal morbidity). Overall increased risk but the tumor is usually not very dangerous. 3. Increased risk of heart attacks and ischemic strokes (especially in smokers) due to estrogen’s increase in clotting factors from increased synthesis of vitamin K-dependent clotting factors in the liver. But estrogen also increases heart efficiency and decreases bad lipids; thus, cardiovascular results were mixed. 5. Increase in libido, orgasms, and overall sexual experience quality. Overall estrogen gels and patches on skin are much safer than pills, and estrogen vaginal creams and gels are excellent ways to decrease vaginal thinning and dryness (effective and low risk). Heart – Phytoestrogens, aged garlic extract (Kyolic), antioxidants (green tea extract, grape seed extract), resveratrol, stop smoking, decrease body weight if overweight, incorporate aerobic exercise.See also: Cardiovascular Health at Vitarock.com. I wish you all the best. One last note of advice – to the men that have partners going through this challenging time: be patient, supportive, understanding, and faithful. Spend some time researching natural remedies with her, because new knowledge comes up all the time. Categories: Lifestyle, Menopause, Women's Health | Tags: menopause | Permalink.